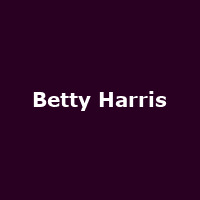 "Betty Harris is a legendary soul singer who appeals to Deep Soul, Sister Funk and Northern Soul fans. Between 1963 and 1967 she had three hit singles "Cry to Me", "His Kiss" and "Nearer to you" - all now considered classic Deep Soul tracks. Her later 1960's songs "There's a Break in the Road", "Mean Man" and "Ride your Pony" were all produced by the late Allen Toussaint and are coveted by Deep Funk 45 collectors. Northern Soul fans have long cited "I Don't Want to Hear it", "Twelve Red Roses" and "Show it" as favourites. Soul Jazz Records are releasing "Betty Harris: The Lost Queen of New Orleans Soul" in Autumn 2016 which will compile all of her Northern Soul, Sister Funk & Deep Soul sides on one album for the first time."